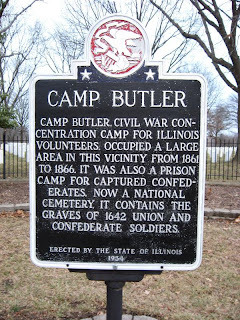 Few are aware of the four Illinois Civil Prisoner of War Camps - Camp Butler; Alton Penitentiary, Camp Douglas, and Rock Island. These four facilities held approximately 53,000 Confederate prisoners. There were more than 647,000 prisoners captured during the Civil War. 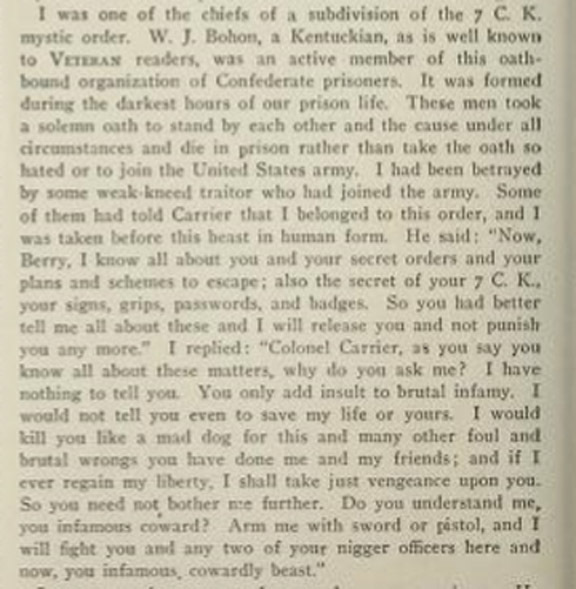 Many were paroled in the field, but 215,000 Confederate soldiers (and citizens) were held in Union prisons; 26,000 died while being held. 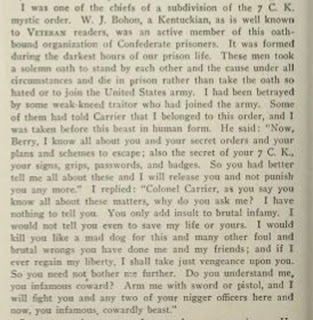 Of the 195,000 Union soldiers (and citizens) held in Confederate prisons, 30,000 died while imprisoned. 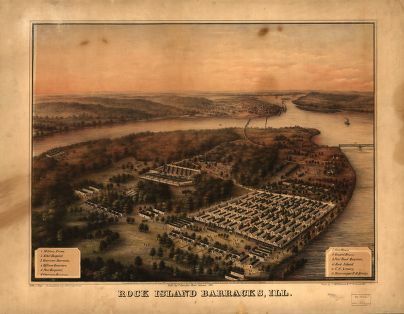 Part 1 of this series highlighted Camp Butler outside Springfield ; and Part 2 Alton Penitentiary, on the Mississippi River near St. Louis. Part 3, takes a look at Camp Douglas, in Chicago, Illinois. Camp Douglas is named in honor of Illinois legislator Stephen A. Douglas. Douglas rivaled Lincoln, and died in 1861. 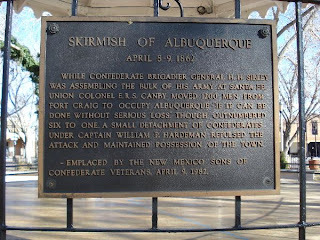 The government took control of (or commandeered) his property and built a Union training facility and prisoner of war camp for Confederate soldiers. Camp Douglas was originally used as a training camp for volunteer regiments, but with the large number of soldiers captured in the battles of Fort Henry and Fort Donelson, it was converted into an overcrowded holding facility for Confederate prisoners, rivaling that of Camp Andersonville, the infamous POW camp for Union soldiers. 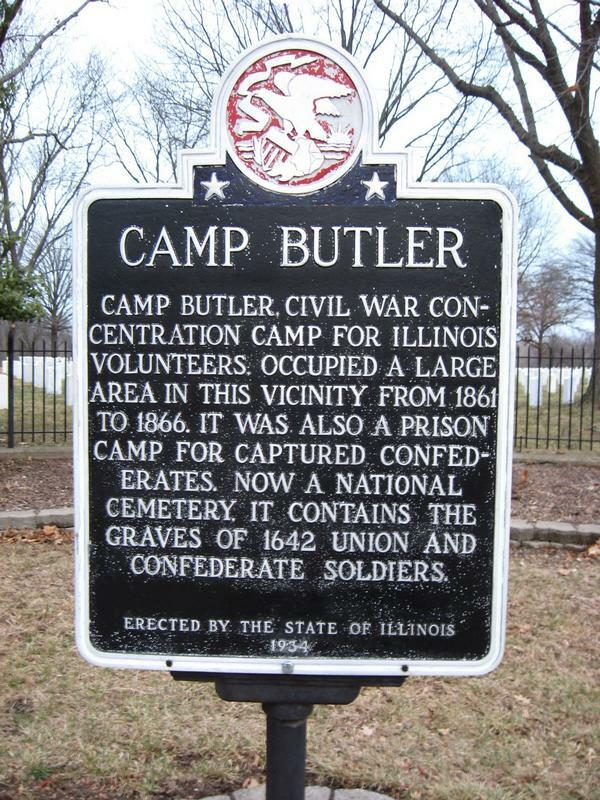 Camp Douglas operated as a POW camp from January 1863 to the end of the war in May 1865. 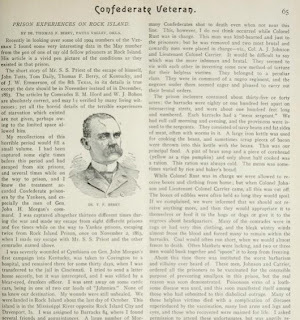 Statistics of between 17-23% death rate has been quieted, but records support Camp Douglas' mistreatment of soldiers, poor living conditions, and extreme death rate. The camp's barracks and buildings were demolished quickly after the war. It may come to a surprise to researchers that an observatory tower was built at Camp Douglas for spectators to view the prisoners. For 10 cents a person onlookers could observe the camp and the prisoners. This activity may best be explained by the pre-civil war stance of Chicago's white population. Chicago City Council condemned the Fugitive Slave Act of 1850. By 1860 there were over 955 free Negroes in Chicago, and 7628 free Negroes in the state of Illinois according to the census. African Americans did serve with Confederate troop as servants, as did Henry Marshall. If captured they too were imprisoned. 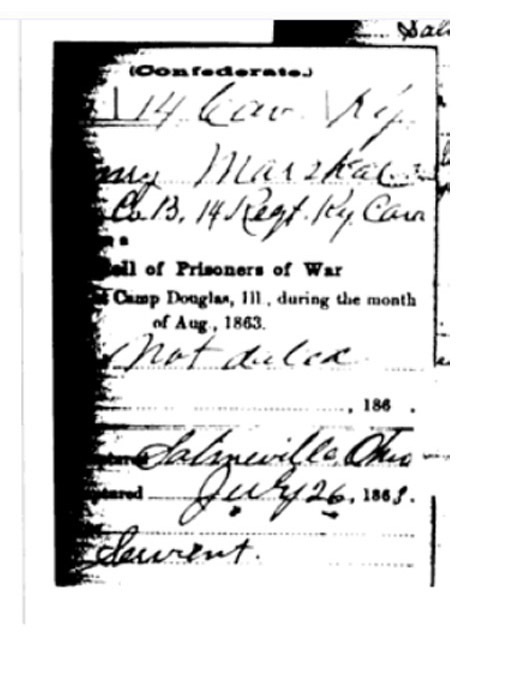 Marshall was one of the African American prisoners held at Camp Douglas. Commonly, reports give the number of eight African Americans were held at the prison. However, the actual number is unknown. Five are known: four were released by order of the Secretary of War; and one died in captivity. For more information review Black Southerners in Confederate Armies: A Collection of Historical Accounts; Charles Kelly Barrow, Joe Henry Segars. The Confederate soldiers were mistreated (cold, wet, hungry) resulting in up to 6000 soldier's deaths over the span of the war. Originally the Confederates were interred in Chicago City Cemetery without markers and others were buried in the prison's small pox cemetery that did have individual grave markers. However, these soldier's final resting place is in the massive unmarked grave at Oak Woods Cemetery on the south side of Chicago. 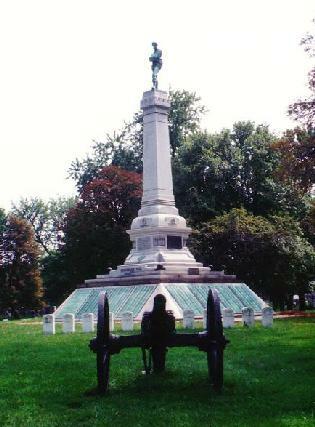 A monument gives Oak Woods Cemetery credit for being the largest burial site for Southern soldiers in the North. The monument was erected "to the memory of six thousand southern soldiers." 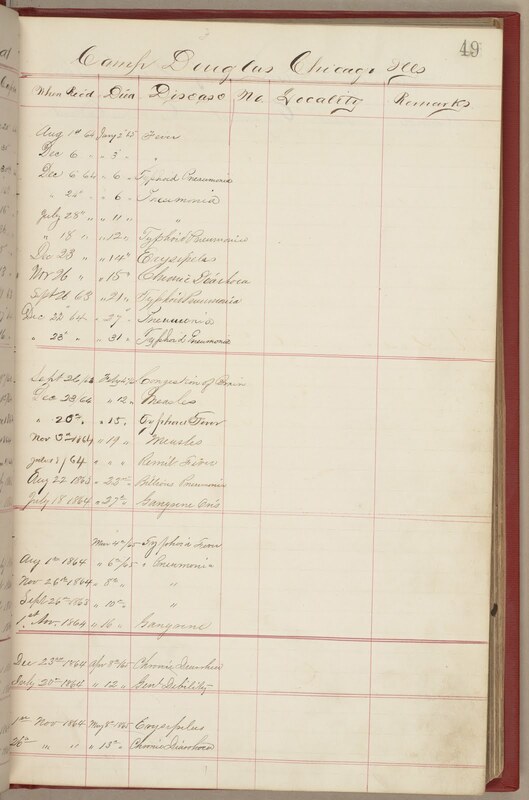 The National Archives - Prisoners and Casualties gives the official death count as 4454, but about 1500 were unaccounted for through record analysis. The 60 acre POW camp held as many as 18000 prisoners during the war. The exact number is unknown, due to poor record keeping or perhaps to hide the horrific treatment and extreme death rate of its prisoners. In January and February of 1863 an average of 18 prisoners died a day. Many froze to death often due to inhumane punishment in Chicago's winters, but also the spread of small pox claimed about 10% of the 7000 prisoners that year. In a four month period in 1864 over 1091 Confederate soldiers died in Camp Douglas. 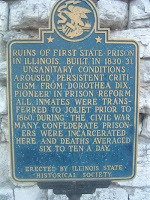 For more information visit Camp Douglas Prison at CensusDiggins.com. For Union researchers at Camp Douglas, know that there were about 900 prison guards. There were black laborers early on, but prisoners were able to blacken their exposed features using a form of charcoal, and walk out the front gate disguised as a laborer. The city black laborers were dismissed, so escapees, healthy enough to do so, turned to the common tunneling method to leave the prison. 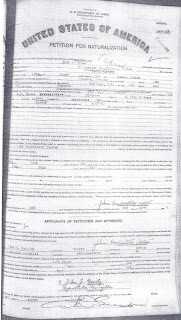 As mentioned early, Camp Douglas records are grossly incomplete or missing. 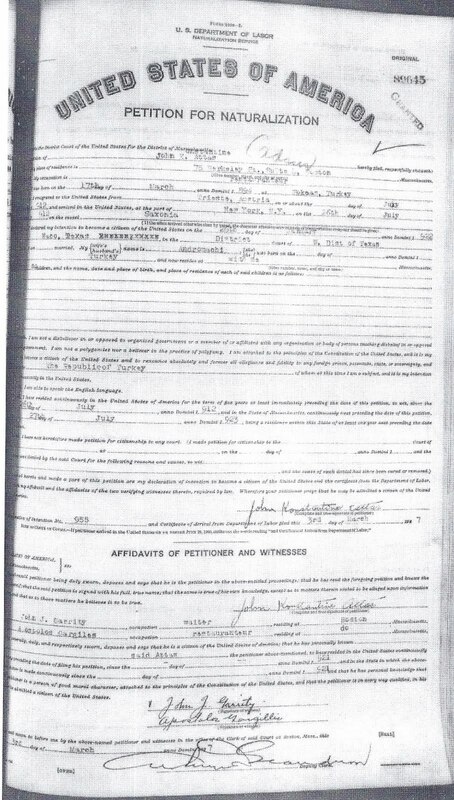 The fortunate researcher however, may find military records in the military files/folders of the NARA or personal diaries of Camp Douglas survivors. 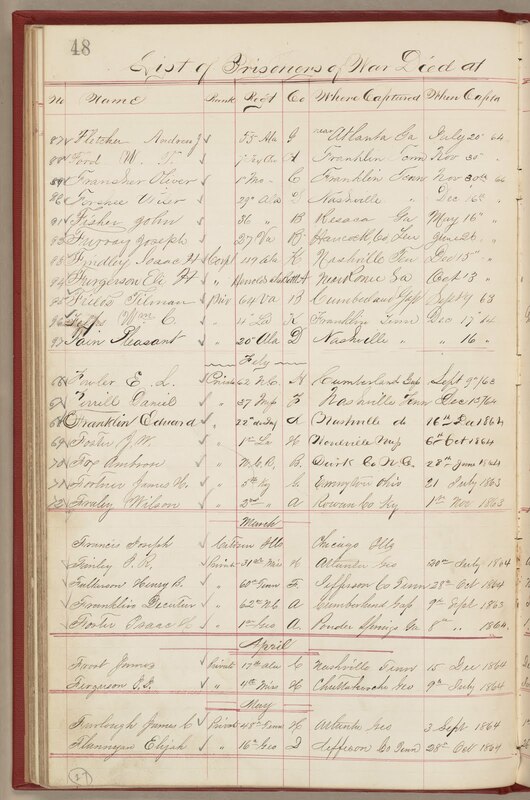 NARA microfilm, M598 - Selected Records of the War Department Relating to Confederate Prisoners of War, 1861- 1865. Captured confederate sailors information may be found in Microfilm Publication M598, additional information may be found on the NARA blog referencing: Selected Records of the War Department Relating to Confederate Prisoners of War, 1861 -1865. Alton: rolls 13-20. 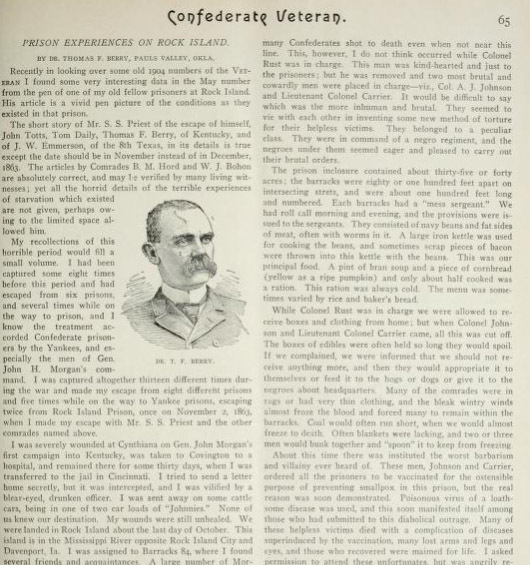 The history of Camp Douglas : including official report of Gen. B.J. Sweet : with anecdotes of the rebel prisoners. 1865. 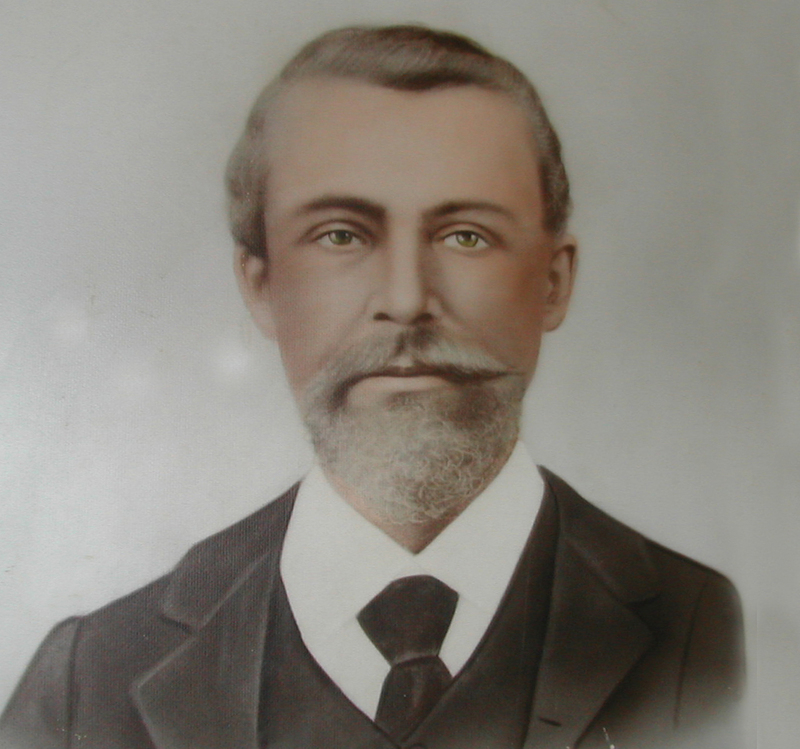 Tuttle, Edmund Bostwick. J.R. Walsh, Chicago. This series highlights the four (4) Illinois Civil War POW camps - Camp Butler; Alton Penitentiary; Camp Douglas; and Rock Island. As mentioned in Part I, Camp Butler - Union and Confederates researchers would be remiss if they failed to discover Civil War POW camp records. These POW records are especially a good resource for Confederate soldier researchers since there were more than 647,000 prisoners captured during the Civil War. Many were paroled in the field, but 215,000 Confederate soldiers (and citizens) were held in Union prisons and 26,000 died while being held. 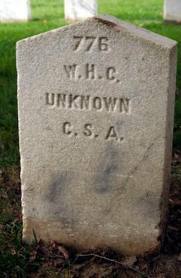 Of the 195,000 Union soldiers (and citizens) held in Confederate prisons, 30,000 died while imprisoned. 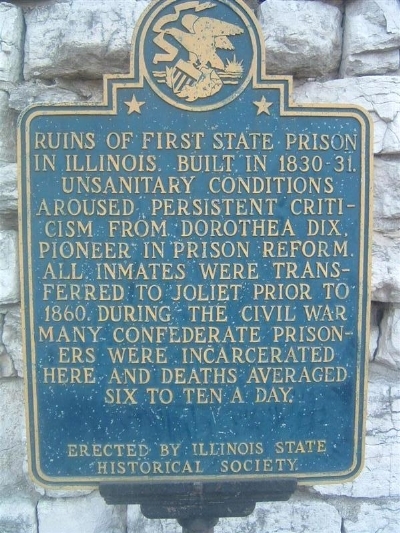 The four Illinois facilities held approximately 53,000 Confederate prisoners of war and as many Union guards passed through the POW camps. Alton Penitentiary was built in 1833 with only 24 cells. It's early fortress construction took on the Quaker's idea of incarceration where "penitence" (penitentiary) would prescribe a combination of hard labor and isolation for criminals. Perhaps, the visionaries realized that located on the Mississippi River between Alton, Illinois and the State of Missouri, just north of St. Louis, that escapes would be common. However, cells were added and by the close of the Civil War there were 256 cells 4ft'x7ft. This infamous penitentiary, known for maltreatment, disease and death, was opened to Confederate loyalist in 1862. The 256 cells held up to 1500 soldiers (some reports claim 1900 soldiers by the end of the war) approximately 1300 Union guards (Alton Telegraph, Nov. 1862). Prisoners were commonly stacked 3 to a bed. Records were poorly kept and prisoners were clever in their escapes. Thirty five prisoners escaped through a tunnel August 1862; in 1863 some escaped using a ladder; and a less than successful attempt of overtaking guards in 1864 resulted in 2 escapees. Of the 80 plus prisoners who escaped, few were recaptured. 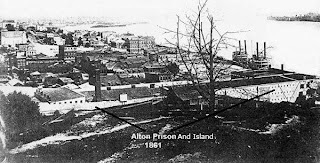 Approximately 2000 Confederate detainees escaped the Alton facility by death from dysentery, malaria, pneumonia and smallpox. The exact number is unknown, and burial plots were not identified. The smallpox epidemic killed many of the prisoners (6-10 per day) in 1863. The actual number of prisoners who succumbed to the epidemic is unknown; at best guess 1300-1400. Sunflower Island, where Abraham Lincoln and James Shields fought a duel, was converted into a place to quarantine patients and bury the dead to prevent spread of the smallpox into the town of Alton. This small island was located on the Mississippi. Burial plots were not marked and the island was later dredged to build a new lock and dam system in 1938. The island no longer existed by 1940. 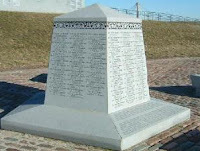 A monument was erected to acknowledge the Smallpox victims. The Alton Penitentiary was ordered closed 20 Jun 1865, and torn down in 1870. Researchers can turn to records, diaries and newspaper accounts to learn more of those interred on the penitentiary land or at Smallpox Island. But if your soldier was one of the last 50 held in Alton Penitentiary, he would have been transferred to the St. Louis Gratiot Street Prison. A great resource: American Civil War Stories. and named for Henry Zinn, the owner. You've decided to go to your ancestor's homeplace of 1850. The first thing to do, is to grab a copy of the current AAA map, and with a highlighter in hand, begin marking any landmark, street name, alley reference, cemetery, and building that bears your surname. Ok...this may not work with the Smith's, William's and Jones', but let's take the Zinn's, Strader's and Vestal surnames. If you've already done a fair amount of research and have confirmed that your ancestor's resided there, why not take one step further to verify after whom these landmarks were named? The best that could happen: confirm that the once working mill was Uncle Peter's. The worst that could happen is that you learn a bit of the social history of your ancestor's hometown. Where to Go for Answers? 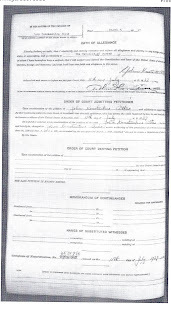 Land commission, deeds, obituaries and local history books will tell volumes. 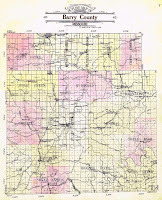 Don't forget the land plat maps of 1850 (or whenever Uncle Peter lived there). 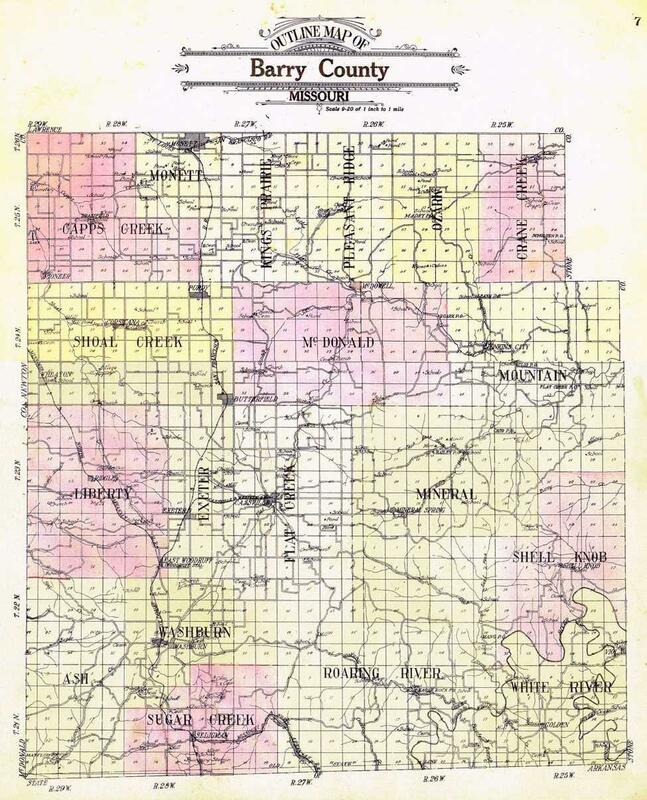 These maps not only tell you who owned the land, they are marked with neighbors names. Be sure to also look at bordering counties. There was a time when citizens improved and maintained roads. Did your ancestor live on the road; or was road maintenance assigned to your ancestor resulting in a road name? 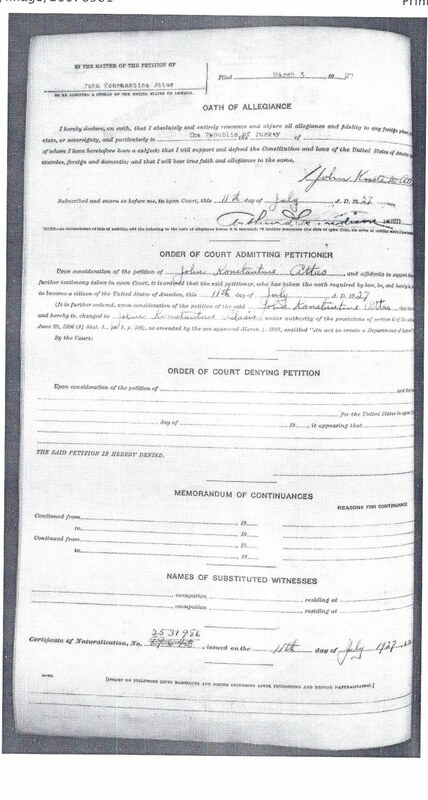 This data can be found in the Court or Aldermen Minutes. Don't Hang Them on Your Tree! This is clearly a surname exercise, and can be fun. But, do not hastily put an unresearched stranger on your family tree, but be open to any genealogical leads.